Venues across Leeds will be showing off their dark side for an evening of unique entertainment next month as the annual Light Night takes place. 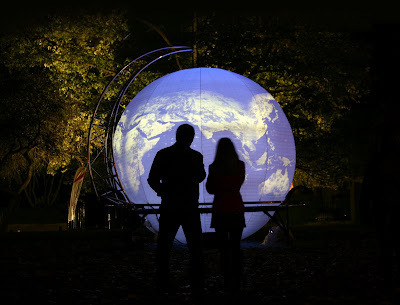 Running from 5:30pm until late on Friday 5 October, Light Night Leeds 2012 will see more than 50 exhibitions, performances, installations, light projections and events showcasing artistic talent at venues and locations across the city centre. The theme for this year’s event is ‘Dead of Night’, as will be reflected in the Victorian jail cells of Leeds Town Hall by Melvin Moti’s The Prisoner’s Cinema presented by Pavilion, which describes the hallucinations suffered by prisoners in pitch-black confinement. Similarly, Arts and Minds’ Creatures of the Night will explore insomnia through an interactive exploration of nocturnal wildlife. The city centre will be split into four key areas for Light Night: Leeds Town Hall and Victoria Gardens, Millennium Square, the universities and Quarry Hill. Leading venues and organisations such as Leeds Town Hall, Central Library, Leeds Art Gallery, Leeds City Museum, Opera North, West Yorkshire Playhouse and Yorkshire Dance will be among those taking part, while there will also be many events happening in the streets and public spaces. One such activity will be ‘Aerockbics’ below the steps of Leeds Town Hall, where anyone can join in zombie aerobics sessions, while Papergirl Leeds will be leading a Mexican Day of the Dead-themed bicycle procession distributing free artwork. Organised by Leeds City Council’s arts development team in partnership with organisations and individuals from across the city, Light Night in Leeds is now in its eighth year, with every activity being open to all with some particularly suited to children and young families. All those attending are encouraged to wear fancy dress reflecting the ‘Dead of Night’ theme. For more information about the event email arts@leeds.gov.uk or call 0113 224 3523.